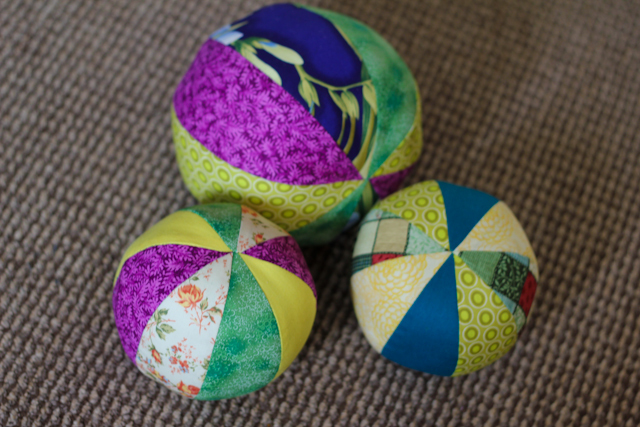 bunny mama's corner: Fabric balls! The pattern and tutorial fore them are here: http://www.purlbee.com/fabric-beach-balls/ and if you heven't seen Purl Bee before prepare to waste some time browsing all of their tutorials and ideas, as they've got tons of them for sewing, knitting and crochet lovers! And I will try to get some sleep and be organized for my shopping and packing tomorrow.